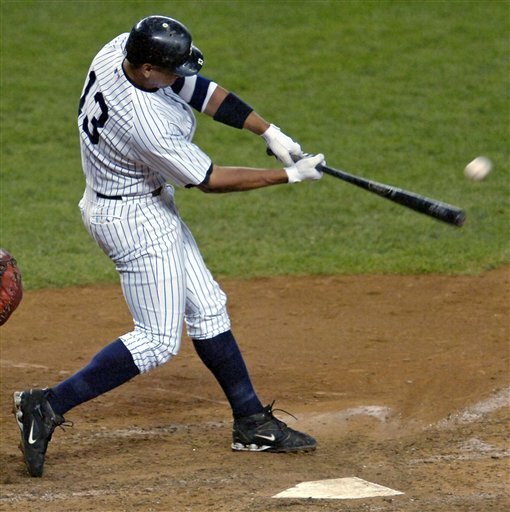 As I write this, Alex Rodriguez has 599 career home runs to his name, an accumulation that has earned him Barry Bonds treatment. But probably not the kind that pops into your head. Sure, pitchers intentionally walk A-Rod (87 times in his career, according to MLB.com‘s statistics). And yes, fans have vehemently booed both celebrity sluggers. But all that happened even when A-Rod had 598 home runs. Since hitting his 599th on July 22nd against the Kansas City Royals, ESPN and MLB Network have been interrupting their broadcasts every time number 13 steps up to the plate. Similar to when Bonds was rewriting the record books, viewers endure/enjoy being a part of each potentially monumental at-bat. In our society of instant gratification, instant highlights are apparently passé. But riddle me this. Would the networks try to replicate such coverage if a pitcher was one away from Nolan Ryan’s career 5714 strikeouts? What if every one of Brett Favre‘s offensive drives interrupted your team’s broadcast as he chased Dan Marino for most career passing touchdowns? How about if a sharp-shooting forward were to approach immortality and challenge the Great One‘s record of 894 career goal scored? Would interruptions occur on the fly with each shift he skated? Given that entire soccer games can be played without an entire team scoring a goal, let alone a specific player sitting on the verge of a record, can you imagine such coverage for MLS? And on a night where ESPN’s coverage of Matt Garza‘s no-hitter was interrupted to show A-Rod going 0-for-4, you very well should have.